I often associate stuffed mushrooms with summer. It may seem illogical but there’s something about the portability of this perfect party appetizer that reminds me of long summer days filled with picnics and barbeques. 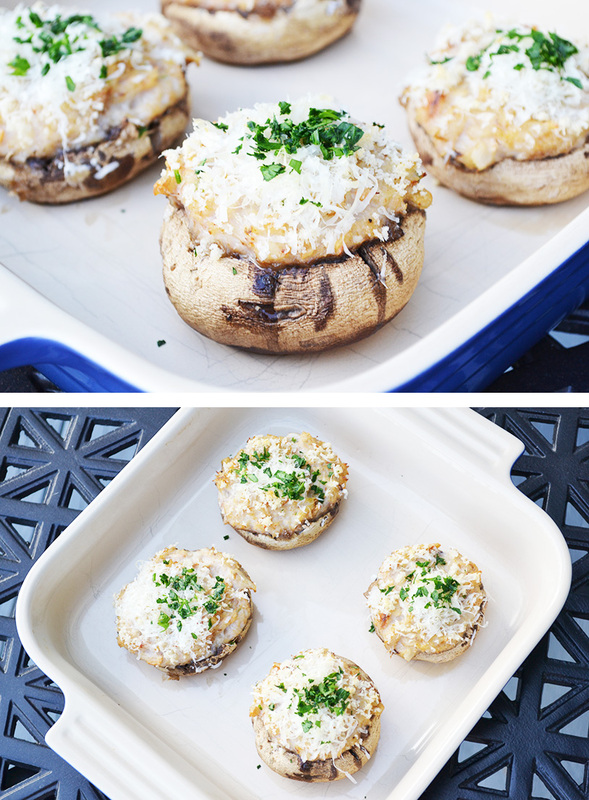 These mushrooms are baked in the oven but that shouldn’t stop you from trying them on the grill. Tender caps are the perfect vessel for the sweet lump crab mixture reminiscent of salt water bays and blue crab season. Summer will be here soon, I can feel it. This recipe is from a cookbook titled “John Clancy’s Favorite Recipes.” I’ve mentioned John Clancy previously on this blog. He was a chef from my grandmother’s time that ran in the same circles as James Beard and Craig Claiborne. I’m not sure if he was more well-known for fish and seafood dishes or baking – I’ve heard both – but I enjoy his seafood recipes the most. Crabmeat and scallions play well together in this fun and easy stuffed mushroom recipe. The juices from the mushrooms meld together with the tender scallion scented crab while fresh bread crumbs turn golden and crunchy during the baking process. Top with parmesan and parsley and this classic bite size burst of flavor will make you ready to relax and enjoy the party. Melt the butter in a small saucepan, add the chopped scallions and sauté for about 2 minutes. Stir in the flour and cook for 2 minutes more. Whisk in milk and bring to a boil, reduce heat to a simmer, and cook for 3 to 5 minutes or until sauce is thick enough to coat a spoon. Season with the salt, cayenne pepper, and lemon juice. Set aside. Flake the crabmeat into a medium-sized mixing bowl, removing any cartilage. Stir the sauce into crabmeat, mixing well. Wipe the mushroom caps clean with damp paper towels. Place them in a small, shallow baking pan and sprinkle them lightly with salt and pepper. 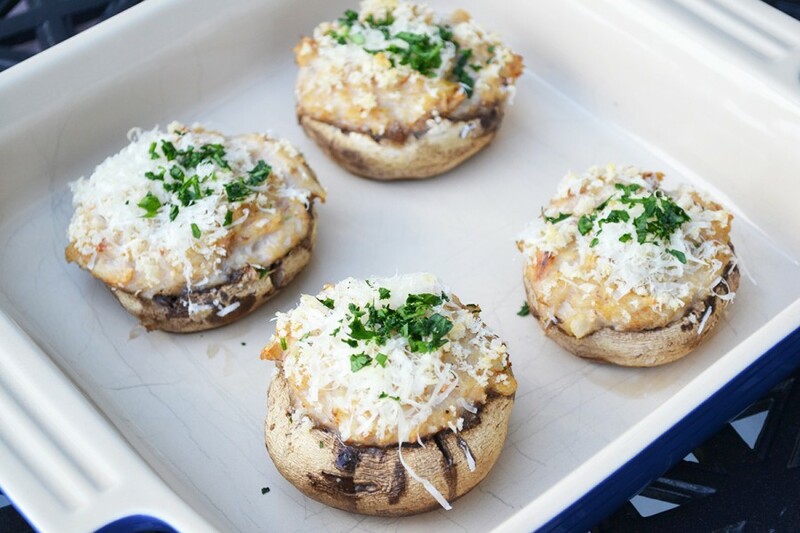 Fill each mushroom cap with crabmeat mixture and sprinkle with the bread crumbs. Bake in the preheated oven for about 20 minutes or until you can pierce the caps easily with the point of a pairing knife. Sprinkle with the parmesan and chopped parsley and serve on a warm platter. Adapted from "John Clancy's Favorite Recipes," by John Clancy.